Because you might as well have something to show for it. Also: Woohoo! Beer! 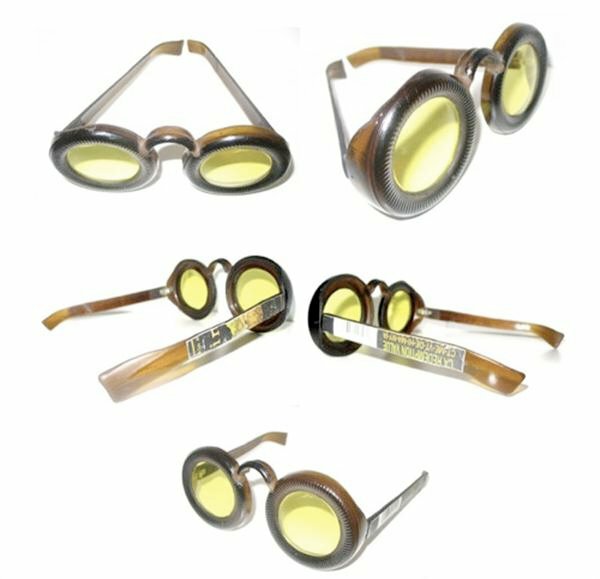 MAKE pal Scott from Urban Spectacles of Wood sent us word of his latest eyeglass creation, beer goggles – “These specs are hand carved from two bottles of your favorite beer, or any other bottle for that matter. And they also come with a legal disclaimer, because I’m sure there is somebody out there who would purposely buy a pair only to take a hammer to them, causing a shard of glass to be lodged in their eye and then come back to me with a law suit. I suppose glass in the area of the eyes isn’t that smartest idea, but that wont really stop me from wearing these goggles around town. They are quite the show stoppers.” – Link.